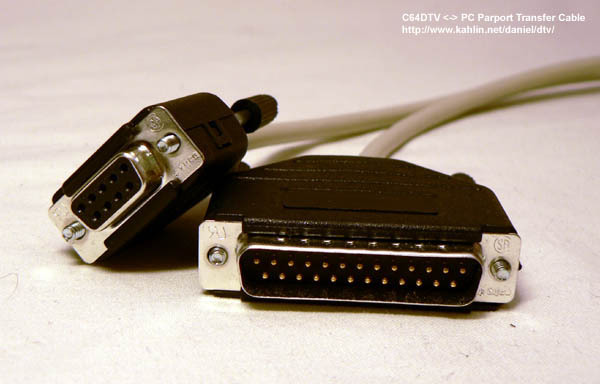 The cable connects a C64DTV Joystick Port (1 or 2) to a PC Parallel Port. The software is fully usable, and has been tested under w2k and GNU/Linux, but should work fine under NT/w2k/XP and even w98. Current transfer rates are roughly 12Kbytes/s dependant on the load on the PC. There are advantages of using this with Joystick Port 2 (automatic remote control from the PC). When using with Joystick Port 2, you will probably want to include the "Thru" connector so you can use an external joystick while the cable is plugged in. 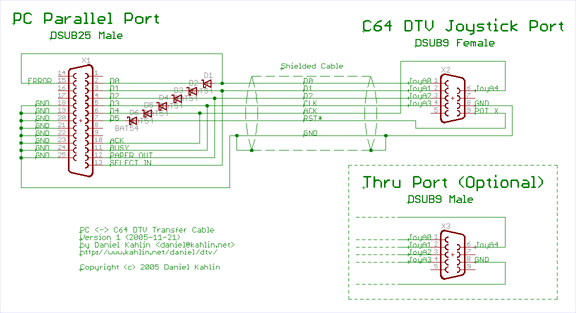 To be able to use the remote features, your Joystick Ports on the C64DTV must have the Reset line wired to POT X on the Joystick Ports you use for the cable. 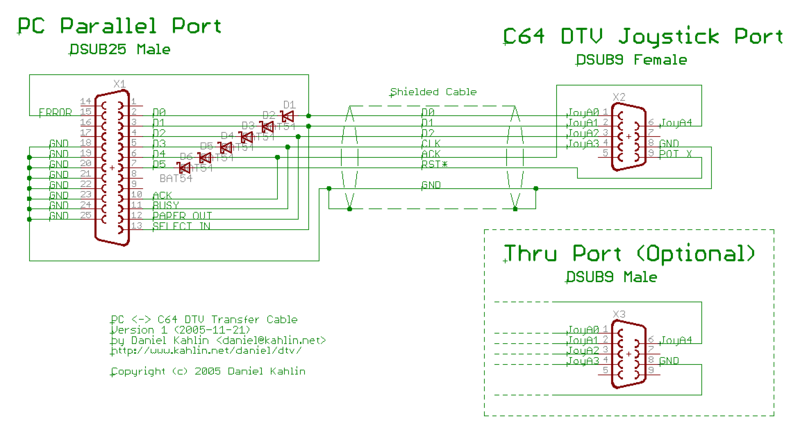 A small number of PC-/motherboard-types may have trouble communicating through this cable. The transfer software requires giveio.sys to be installed, as it needs direct parallel port access. 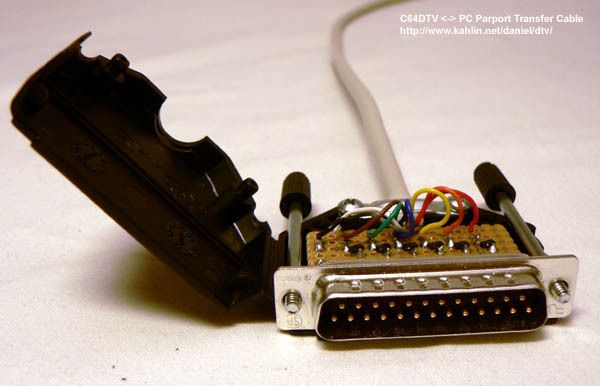 Picture of the internals at the PC Parallel Port end.